Epic Orchestra from Moby is a mobile rhythm game, and the goal is to play classical pieces. While most rhythm games just rely on the soundtrack, Epic Orchestra is different because it offers a lot more interaction. It is both an enjoyable game and also well presented. The controls are simple, and you just have to swipe the screen left, right, up or down along with the music. Try to swipe as the arrow goes in the box. Provided the arrow is in the box, you will be awarded points, but the score is higher if the arrow is within the box. If you get the timing right, the conductor will undergo a transformation and ensure you don’t make a mistake. This is only possible if your meter is up, so keep an eye on it. Try not to make mistakes because if you do, you’re going to lose lives. Mistakes will also cause you to lose orchestra members. You’ve got five lives so be careful. If the game is too easy, switch to hard mode and your finger will be flying back and forth on the screen. When swiping the screen, make sure that you lift your finger in-between swipes. You can’t change the controls either, but it’s easy to figure out anyway. Epic Orchestra features some well-known classical tunes, and some you may not be familiar with. Even so, the game serves as a good introduction to those who don’t usually listen to the classics. 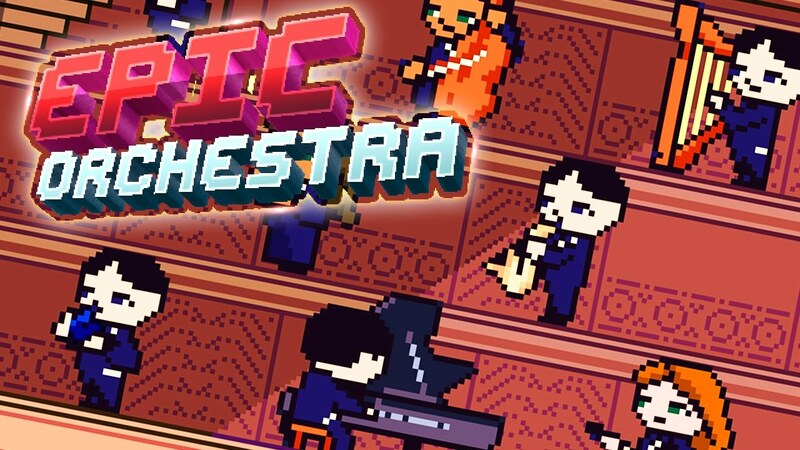 If you like simple, one-touch control games, give Epic Orchestra a try.